The Chamber’s Business After Five Mixers are the Region’s premier business networking events, attracting between 50-100 industry professionals and business owners. Chamber members are invited to attend these quarterly mixers and receive guest tickets according to their membership level. How to Get Involved: View Calendar Here to register for the next event and subscribe to SCC Newsfeed to receive future updates. The Industry Members & Partners Alliance Team (IMPACT) is the Chamber’s premier lead generation and referral network. IMPACT members meet twice a month with 12-15 other professionals in non-competing industries and assist each other with professional development and business strategies. How to Get Involved: Email contact@southeasternchamber.org Subject: IMPACT to learn more about this program or (843) 556-2863 to get on the round-up list. These exclusive networking events take place quarterly at distinctive venues throughout the Southeastern Region and draw a significant group from the Chamber’s membership base. How to Get Involved: Attendance to the Leaders of Influence Receptions is available to members at the Corporate-level and above. Please contact the Membership Department at contact@southeasternchamber.org Subject: Leaders Reception or call (843) 556-2863 to ensure you are included on the list to be notified of the next event. Our Chamber VIPs are invited to gather for a private champagne reception prior to each Leaders of Influence Reception. Guest attendees for these receptions include elected officials, business leaders and the Chamber’s Board of Directors. Tabletops are an excellent opportunity for members to advertise their business at one of Southeastern Chamber’s most popular networking events. Tabletop exhibitors receive a high-visibility location to showcase their business, two complimentary guest tickets and a copy of all business cards collected at the event. How to Get a Tabletop: Contact our Director of Events & Conference Services, by email contact@southeasternchamber.org Subject: Tabletop Spot or call (843) 556-2863 to reserve your next tabletop exhibit. Chamber members at the Emerald level receive full access to all of our events*. How to Get Involved: View Events Calendar to register for the next event and to receive future updates. *Select events may incur an admission fee. The Chamber’s CEO Circle series allows members to hear engaging topics from business, community and government leaders while networking with members of Region’s business community. Circle participants meet once a month and is limited to 8 people. Attendance is not mandatory every month; however the circle meetings are established upon a small-group concept, where members are asked to attend frequently. Director, Charleston Restaurant Association, Michelle Melton, CEO Keller Willaims Reality, Nella Barkley, CEO Crystal-Barkley Co. and many more. How to Get Involved: Attendance to the CEO Roundtable events is available to Emerald level members only. Please contact the Executive Office at the Chamber at (843) 556-2863 to ensure you are included on the list to be notified of the next event. The Chamber’s committees are a major part of our business hub within the organization. From political advocacy to business relations and development, each month committee participants tackle and discuss emerging issues directly from key stakeholders, business leaders and government officials. In addition to advancing various areas of the Southeastern Region on a policy level, committees are a great opportunity for members to actively collaborate with business leaders in their industry. How to Get Involved: Committee participation is available to all members. To get involved, visit the SCC Committees Tab to get an in-depth review of each committee category. After selecting the appropriate committee, contact the respective staff liaison to sign-up, get information on meeting dates, and join! We strive to keep members informed of the latest policy updates that affect their business. The legislative Affairs committee works hard to ensure that you have a voice speaking loud and clear for you. Members of all levels have access to the Chamber’s Legislative Affairs Committee in order to stay abreast of legislative briefing and updates. Legislative scorecards are an essential tool for keeping voters informed about the candidates who are most committed to making Cities within the Southeastern Region a great place to do business. During election years, the Chamber distributes scorecards to its members, ranking candidates based on policy priorities and voting history. Get the Scorecard: Chamber members are encouraged to make a request to receive the next legislative scorecard. All requests should be submitted to contact@southeasternchamber.org - Attn: Legislative Affairs Committee. Small Business Roundtable’s occurs quarterly on the first Friday of each month. This provides small business with the opportunity to review and provide input on pending legislation, local issues, and receive mentorship and counseling regarding issues that affects small business. Small Business Roundtable sessions are open to all members. How to Get Involved: Small Business Round Tables are held at the Chamber’s Summerville Satellite Location in the Community Options Building. 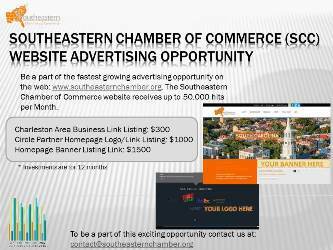 Email contact@southeasternchamber.org – Attn: Business Liaison Chair for more info. The Legislative Affairs Committee is the governing head of all Chamber committees. Each month, our committee members meet to discuss the latest emerging issues and submit policy and legislative recommendations to the Chamber’s Board of Directors for final review. How to Get Involved: Participation in the Legislative Affairs Committee is available to members at the Corporate-level and above by invitation only. For more information, please contact Nancy Qualls at nqua@southeasternchamber.org or call (843) 556-2863. The Chamber’s Forward Government Speaker Series (FGSS) is a collection of roundtable discussions designed to allow members to candidly engage with key government officials, policy makers and others on local, state, federal and international matters. Membership Department at contact@southeasternchamber.org Subject: FGSS Involvement or call (843) 556-2863 to ensure you are included on the list to be notified of the next event. Chamber Ambassadors are the chief links to membership, ensuring that member needs, questions and concerns are heard and addressed by the Chamber. Being an Ambassador provides excellent networking opportunities through active association as well as enhanced credibility among peers. How to Get Involved: Email your resume to contact@southeasternchamber.org: Subject: “Ambassadors Link” to learn more about the Chamber’s Ambassador Committee, and be considered for participation. Once eligibility and participation requirements are reviewed, a staff representative will contact you within 24-48 hours. Chamber investors are listed in the membership directory for quick accessibility. The Southeastern Chamber encourages “Shop Member First” strategies that circulate capital within the Southeastern Region. Raise your visibility and market your business through advertising and sponsorship in Chamber digital and print communications. How to get involved: For opportunities and rates, and contact your Member Investor Rep.
Have a grand opening, charity event or business seminar in the near future? Gain extra exposure for your event by posting it on the SCC Community Calendar. Each business listing in the membership directory contains a direct link to the company’s website. Get Your Website Linked: Website links are setup during membership initiation. To update your company website, contact the Membership Department or call (843) 556-2863. 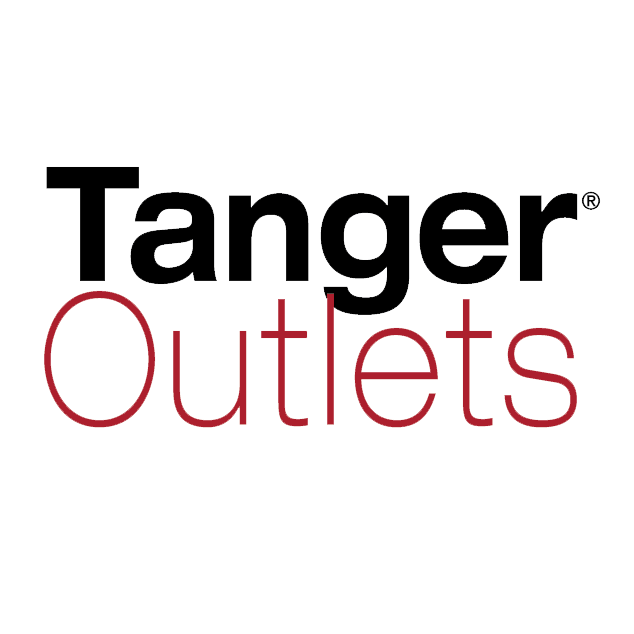 Increase the visibility of your grand opening event by getting the Chamber involved. We provide ribbon, coffee, Krispy Kreme donuts and giant scissors; send invitations to our committee heads, local executives and neighboring companies to your new business. Launching a new product or service? You deserve a ribbon cutting too! We will also post pictures of the event on our website and/or social media. Emerald members are invited to attend a Board of Directors meeting with special recognition and introduction given by the Board Chair. At the release of each Newsletter the Chamber highlights between 2-4 member businesses on the website and/or Newsletter. These company spotlights are a simple, yet effective means to enhance your business’s visibility. How to Get a Spotlight: This benefit is available to members at the Corporate-level and above. To arrange a spotlight, please contact the Membership Department. Emerald members receive special recognition on the Chamber website with a hyperlinked logo and listing on the Chamber’s Events. We understand that deciphering through the Chamber’s entire collection of programs and benefits can be overwhelming. Whether you’re a new member or a seasoned pro, the Chamber Orientation 101 workshop provides each member with a comprehensive overview of how to take full advantage of your Chamber membership. Chamber members have access to an extensive collection of workshops designed to help members gain skills in leadership, finance, professional development and much more. How to Get Involved View Events Calendar to register for the next workshop and to receive future updates. National research shows that 63 percent of consumers prefer doing business with a chamber member. Members at every level are eligible to use the Chamber’s logo in order to enhance visibility and increase credibility for their business. Produced by the Chamber – in partnership with various Economic Development Offices – this bi-yearly economic report conducted by Strategic Research provides valuable insights into future trends of the regional business community as well as topical issues. SCORE consultants are available to lend their experience to help address you business challenges. Consultations with an experienced business executive are free to Chamber members. How to schedule: To schedule a consultation with SCORE reps contact your Membership Investor Rep.
Chamber members at Emerald-level and above are eligible to receive a complete listing of the Chamber’s membership database.